A pro quality tenor with sultry tone and smooth action. A big and husky saxophone sound, strong in the low range, is the spirit and backbone of the Chicago sound - historically, one of the great cities for jazz development. The Allora Chicago Jazz Series Saxophones keep this tradition alive with their big bells, dark finish, and dark sound. These are sure to be a jazz and big band favorite for years to come. 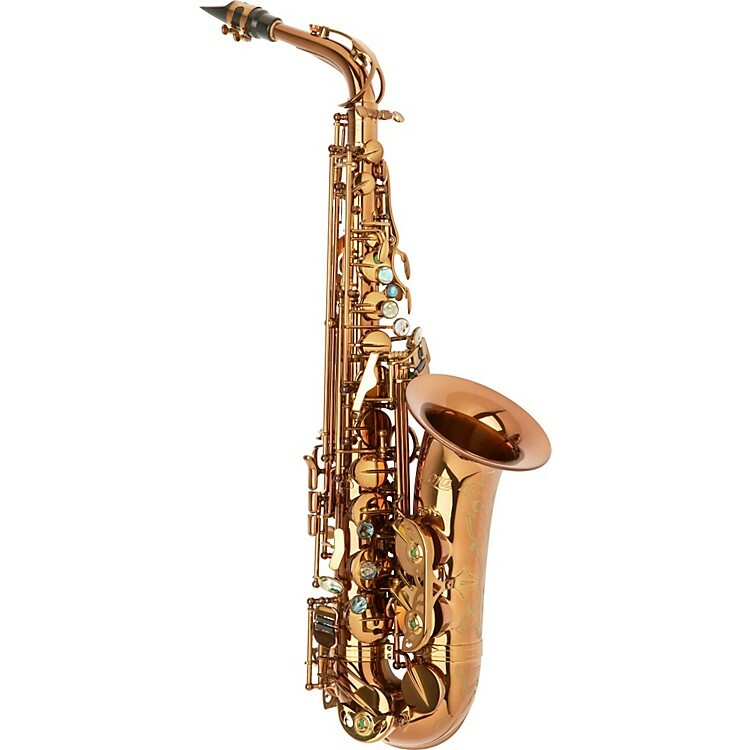 The Chicago Jazz Alto Saxophone features ribbed construction, Pisoni pads, floral engraving on bell and bow, high F#, double arms on low C, B, Bb, and an 85% red brass body with a dark gold lacquer finish. Includes a professional style carrying case. Get the quality you need at a price you can afford! Order today.